If you could spend Valentine’s Day weekend anywhere, (and money, travel time, childcare were not issues) where would you most love to go? 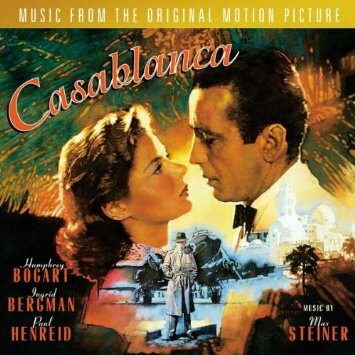 Certainly Casablanca would at least make the top 10! Romantic, exotic, colorful…. Wait, are we describing Casablanca, or Casablanca Blues? 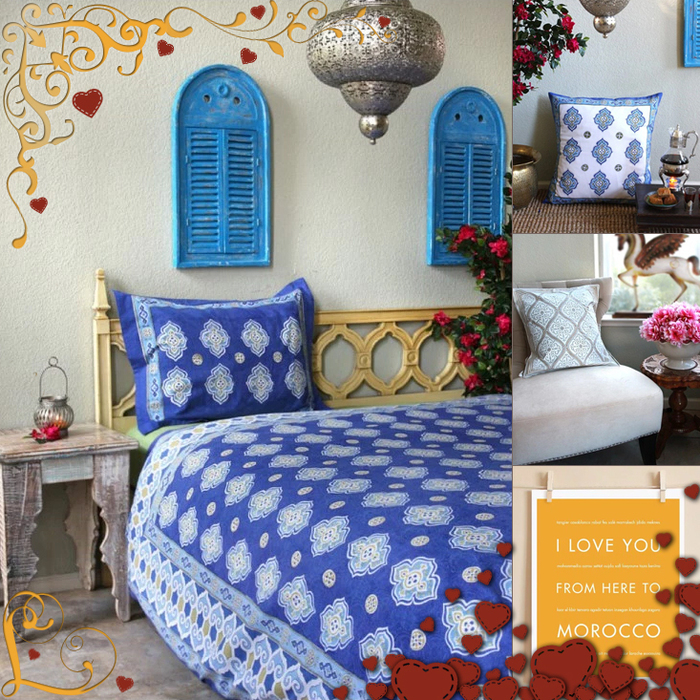 And while Casablanca, Morocco may be a bit out of reach, spending Valentine’s Day in Casablanca Blues is a wonderful option! 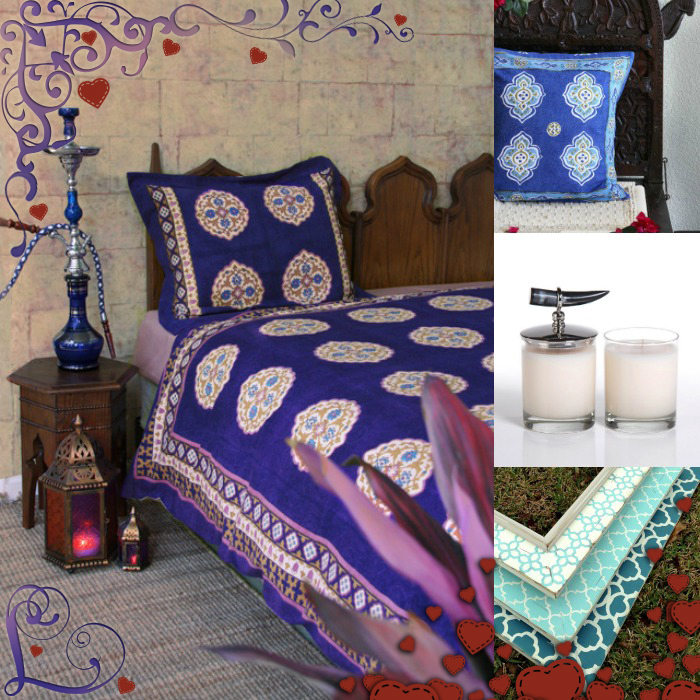 Our bold, hand printed duvet will simply sparkle in your bedroom, and inspire all kinds of exotic, colorful decor. 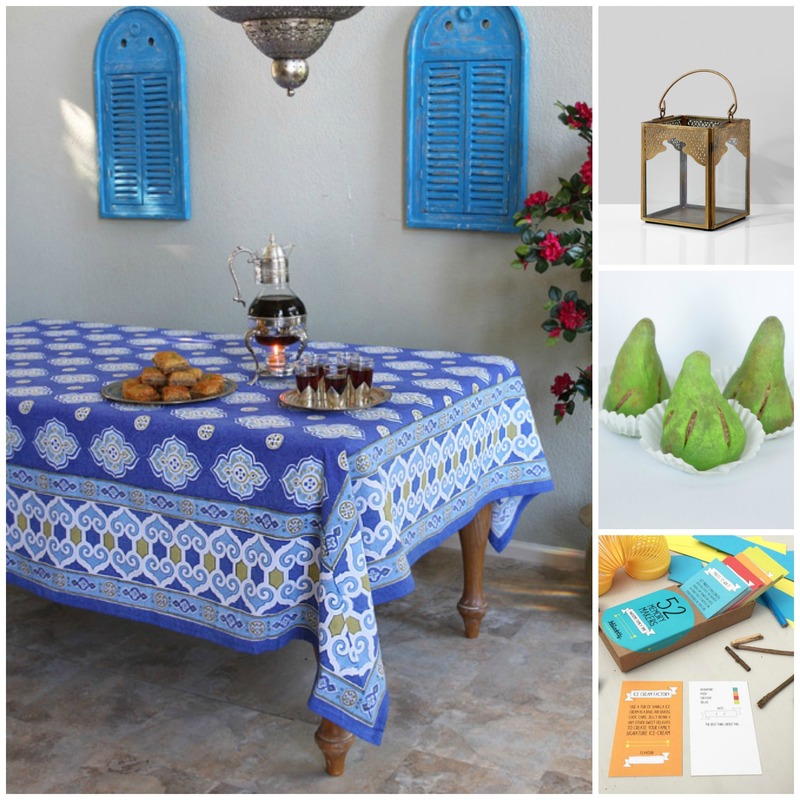 Pile your Moroccan love nest high with a few more of our glamorous Moorish offerings. Vanilla Glacé tops our list of sophisticated glamour. 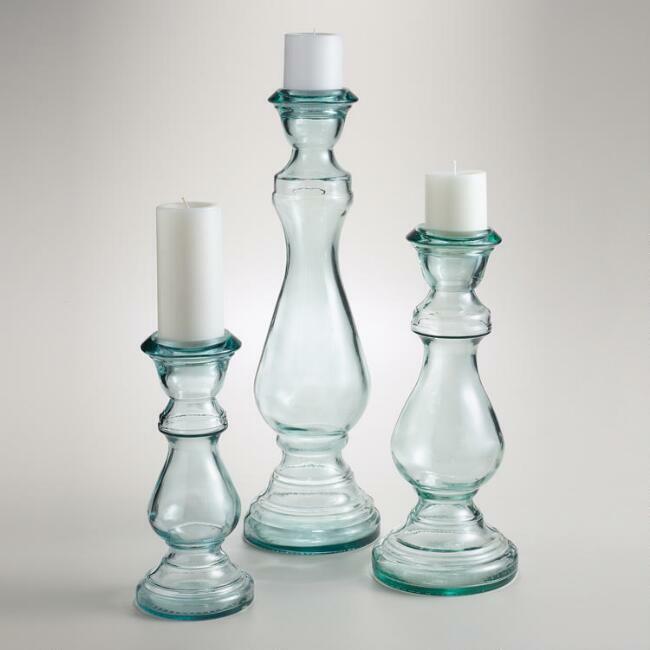 Use these to add a bit of gilt and polish to your Valentine’s Day style. 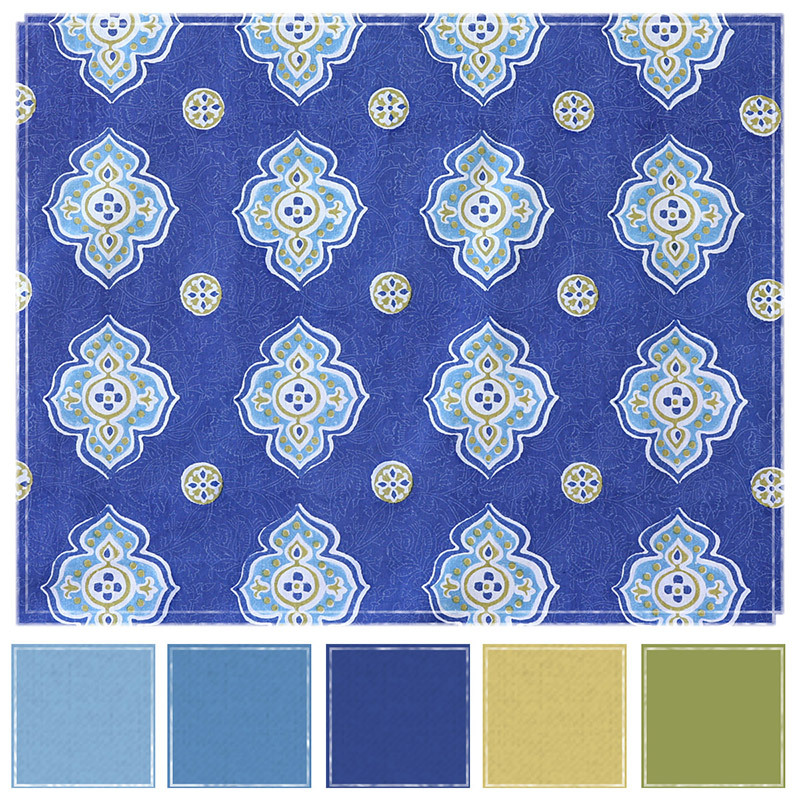 The flirtatious cousin of Casablanca Blues, our white-ground Casablanca print is a refreshing and a cheery complement to your bedroom. It will easily find its place nestled in your bed, creating a soft, sweet and exotic background for sleeping and whatever else goes on there. 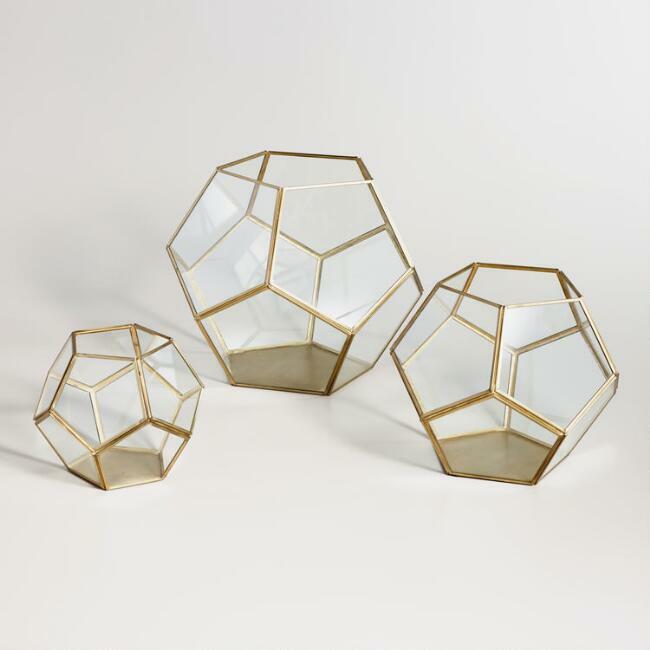 For the price, these tiny terrariums are an amazing addition to any contemporary global decor. 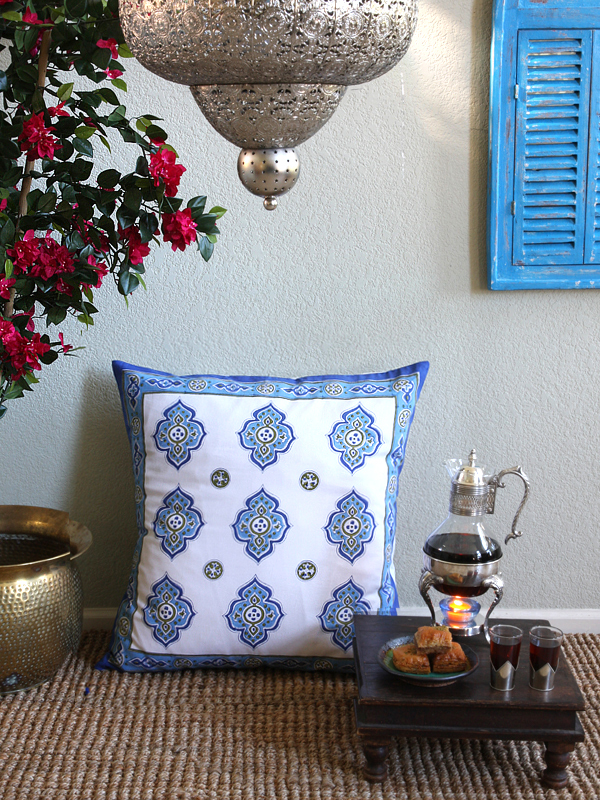 The lines reflect the geometry of Moroccan style, and they can be filled with any kind of wonderful treasure – tea lights, fern gardens or beads and baubles. 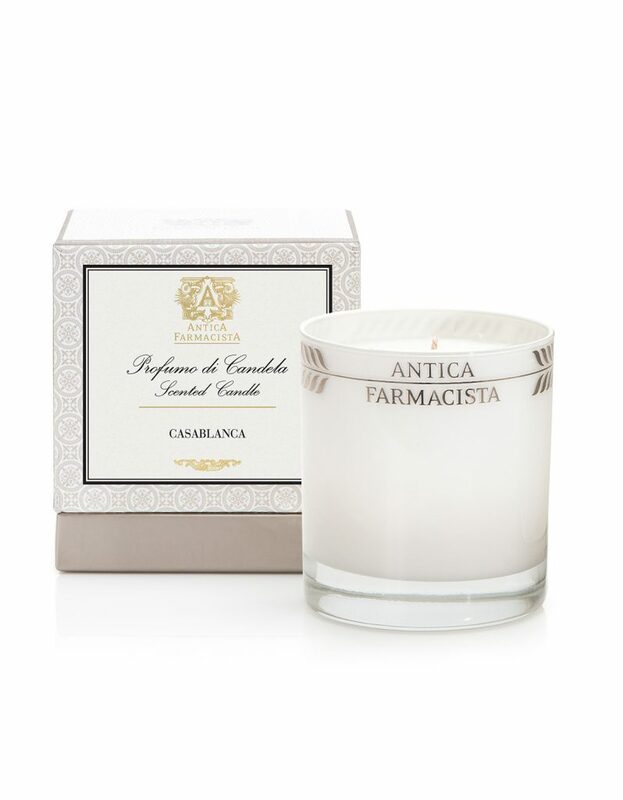 For the perfect Valentine’s evening, you’ll need sweet candles. 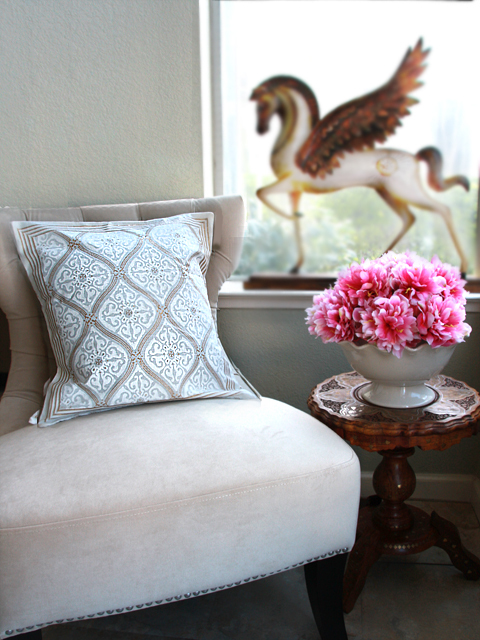 Try Casablanca Lily for a light floral scent that will create an energy in your space without overwhelming. This addition to your Moroccan Valentine’s Day is truly a gem. 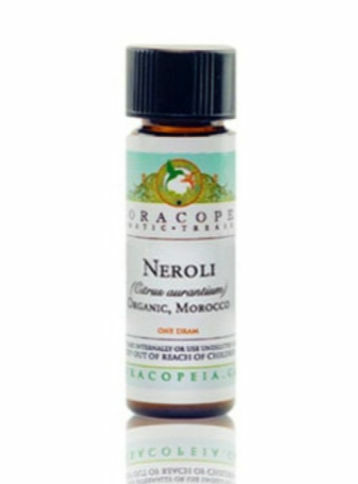 Citrusy and spicy, you’ll enjoy this for the sweet organic fragrance as much as you love the therapeutic benefits of this soothing essential oil! Weave a bit of nostalgia into your Valentine’s Day this year by adding vintage tunes to your celebration. It’s certainly possible that if you put this record on, you may end up dancing in your bedroom! 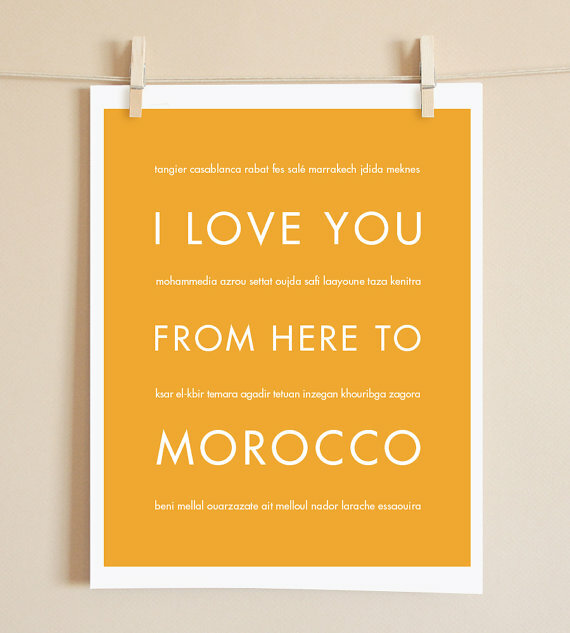 Hop Skip Jump Paper has a line of super fun prints, all of which state, “I love you from here to __________” (Portugal, Belize, even Cassiopeia)! The alternate smaller lines list cities in each county. 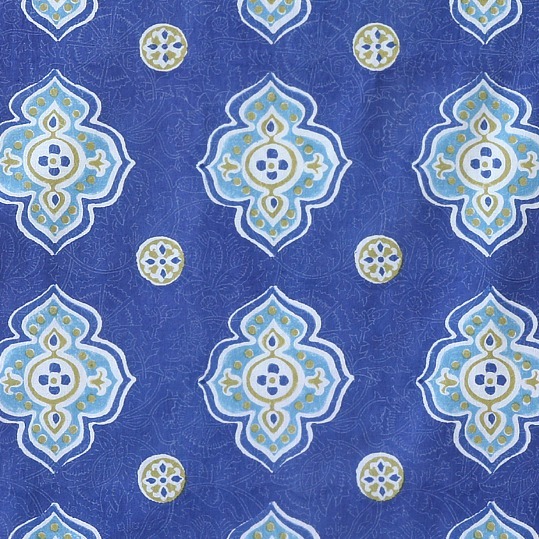 You can order this printed in a huge variety of colors, and I know you’ll find one that fits perfectly in your Casablanca Blues Valentine’s bedroom!